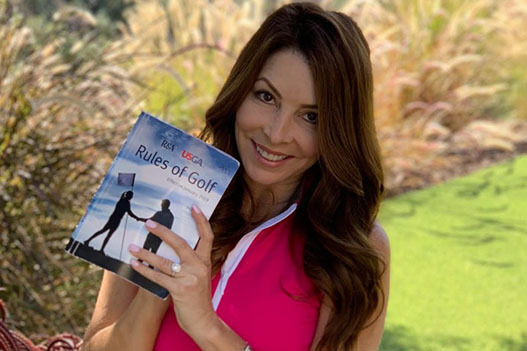 Marcela M. Smith launched Girlfriends Guide To Golf to help grow the game and encourage more women to experience the golf lifestyle. Marcela teaches golf etiquette and basic golf rules to groups of women via clinics and on-course rules experiences. She is an active volunteer with Pro Kids/The First Tee of San Diego where she serves on the Girls Mentoring Committee, and recently chaired their Women’s Golf Tournament at Colina Park. Marcela and her husband Charlie belong to The Santaluz Club. It’s been six years in the making - or so they tell us. “They” being the governing bodies of golf; the USGA and the R&A. You would think we would have been more prepared for such dramatic changes to the rules, but apparently we procrastinate on learning new things until we actually need to. Well, I usually do. The USGA and SCGA have done a terrific job of making the information available, but many players are still confused. Players in the Northeastern United States and other areas of the world that would have to plow snow to play golf right now have a fairly good excuse for not knowing all the new rules. We Southern Californians really don’t. Now if you’re a strictly recreational player who never plays in competitions, then I suppose it’s okay not to be completely up-to-date on the new rules of golf. If you do play in events where there’s some cash or prizes on the line, then of course the spirit of fair competition dictates that we all need to be playing by the same rules. 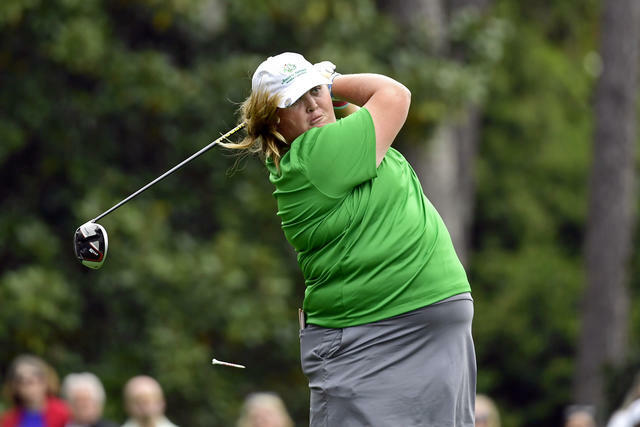 I publish a golf blog and teach women basic rules and etiquette, therefore I have a good sense of what some common perceptions are regarding all the changes. Most folks have learned the rules of golf over several years, a few at a time, which has enabled them to more fully absorb and retain information. With all the new changes coming at once, many players feel like they’re going back to rules-kindergarten, especially with respect to the new terminology. Water hazards are now called penalty areas, most of the course is now called the general area, taking a drop now includes a reference point and relief area, and we must drop from knee height (which believe it or not is turning out to be more difficult than anyone would have imagined). We now have no-play zones, general penalties and abnormal course conditions. Is there any wonder we’re all a bit confused, and frankly overwhelmed? Lets add to that the fact that many online videos (from non-official sources) give such a brief description of the rules changes that many players think they know what they can and can’t do, only to discover later a few important details that may cause them to incur penalties. I’m not talking obscure situations here but very common misunderstandings. One example would be regarding removal of loose impediments in a bunker under Rules 12.2 and 15.1. You’ve probably seen the videos that say you can now remove loose Impediments in a bunker and ground your club there as well. But what you aren’t hearing is that if you remove a loose impediment and your ball moves as a result, you’ll incur a one stroke penalty. When you hear that you can now ground your club in the bunker, you think you can ground it anywhere, but in fact you cannot ground it right in front of or right behind the ball, nor can you test the sand or improve the condition of the sand. You cannot touch the sand with your club while making a practice swing or in making the backstroke for your swing. So what sounded like a wonderful rule change in the bunkers is not as “free” as it initially sounded. One example of the permitted grounding of a club in a bunker would be to help you get in or out of it. It is also more important now than ever before to be sure you review the local rules at any course you’re playing, especially before a tournament. You’ll see more of them at all courses, and since the USGA has given more leeway to committees to create some of their own wording on these local rules, you could encounter very similar local rules at two different clubs, but they could differ ever so slightly - just enough to get you into a sticky situation in a tournament. So don’t feel alone if you’re struggling a bit with all the changes. Don’t throw your hands up in frustration, and for goodness sake, don’t agree to disregard the rules - that will get you disqualified under rule 1.3b! We’re all in the same boat, paddling upstream in what we used to call a water hazard. The videos, clinics and friendly rules crew at the SCGA are your oars and will help get your confidence back in no time.